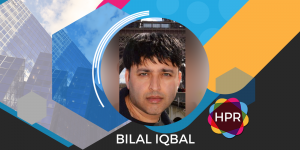 Dr. Bilal Iqbal, from the Victoria Heart Institute Foundation, Canada, talks about the study titled “The Prognostic Impact of Revascularization Strategy in Acute Myocardial Infarction and Cardiogenic Shock: Insights from the British Columbia Cardiac Registry” that was presented at the Society for Cardiovascular Angiography and Interventions (SCAI) 2018 Scientific Sessions. Guest Bio: Dr. Bilal Iqbal is an interventional cardiologist having trained in London, UK. He is currently on works at Royal Jubilee Hospital, and is a Professor of Medical Sciences at the University of Victoria, Canada. Prior to his appointment in Victoria, Dr. Iqbal was a full-time Interventional Cardiologist at the Royal Brompton and Harefield Hospital in London, UK. He has ongoing basic science research interests in the signaling mechanisms underlying thrombosis and is actively involved in clinical research spanning all aspects of Interventional Cardiology with specific interests in statistical modelling and decision-analytic models. Neal Howard: Hello and welcome to Health Professional Radio. I’m your host, Neal Howard in studio with Dr. Bilal Iqbal from the Victoria Heart Institute Foundation in Canada. He’s joining us on the program today to talk about a study concerning acute myocardial infarction and cardiogenic shock. Welcome to the program, Dr. Iqbal. Dr. Bilal Iqbal: Thank you very much. Thank you for the kind introduction. Yes. I’m a Consultant Interventional Cardiologist practicing here in British Columbia, Canada, previously having worked in the UK and having moved recently here to Canada and actively involved in research. As you’ve highlighted, the study that we’ve conducted here in British Columbia is looking at the prognostic impact of revascularization strategy in patients with myocardial infarction and a cardiogenic shock. This is a very interesting topic and one of significant debates over the recent years. Just to put everything into perspective when patients come in with an acute myocardial infarction and causing its shock they undergo coronary angiography to determine the disease they have and the cause of the myocardial infarction. Patients go on to have the culprit actually treated but no one knows what to do with a non-culprit disease. You get on and treat everything, it won’t go and you leave it and bring them back in another day. The arguments for it happening – this is a very sick cohort. Yes, you’ve treated the heart. If you fix everything else you reduce the ischemic burden and that may be associated with better outcomes. The argument against it is where actually you treated the problem of the heart attack, just let them recover and why add more complications where additional percutaneous coronary intervention that isn’t warranted. There’s always been debate which strategy is better and no one had randomized control trial data in this deal and over the reason here is there’s been lots of interest in complete revascularization culprit vessel versus non-culprit vessel intervention in stable patients with ST-Segment Elevation Myocardial Infarction. There’s been studies looking at a cardiogenic shock cohort per se and if you look at our current guidelines all of you who had been derived and from observational study and actually there weren’t even actually derived from observational study, they were actually derived from consensus. So the reason culprit shock trial is their large randomized control trial. Actually it’s an amazing feat to conduct such a large study in 706 cardiogenic shock patients, … sick patients. It was a tremendous achievement when it shows that actually contrary to what guidelines previously projected, we should just treat a culprit vessel intervention at the time of the acute myocardial infarction that’s associated whether or with better outcomes. And take-backs if they’re taking the result of the culprit shock into mind, we hypothesize that we may see the same effect in a real-world analysis and that was the basis for our study which we conducted in British Columbia. So our study involved 649 patients with cardiogenic shock, myocardial infarction and multi-vessel disease. Our results actually showed up with a very complimentary of that of culprit shock. We found that actually treating the culprit artery only at the time of the index coronary intervention procedure were associated with better outcomes and we saw a clear signal if they respond early signal that multivessel interventions at the time of index percutaneous coronary intervention were associated with worse outcomes increased mortality. So that’s just a quick summary of our study, its key findings in relating to the background which actually stimulated our study. N: Do you see any further need for research in this area? B: I do because what we have done is an observational analysis. So it’s not a randomized control trial data but I don’t expect our study to be impacting, actually making guidelines. It is hypothesis generating data but it is said to be complementary to the culprit shock trial which is the first trial in this field. There still remains some uncertainties like for example if you look at the recent registry analysis on the Korean study – the KAMIR data search is that it actually showed an opposite effect, right? But then it’s very difficult to compare that study with ours and culprit shock because the definitions of culprit vessel and multivessel were very different. For example in our study and in the culprit shock study, we considered culprit vessel intervention as just treatment of the culprit vessel at the time of the index intervention and multivessel intervention was something that was conducted all in one go. Whereas in the KAMIR study even staged interventions that were not part of the index intervention procedure were still classed as multivessel intervention. So when you have definition varying between studies, it makes comparison of studies very difficult. I think the culprit shock trial it’s a large body of evidence and already I can see it having some impact and guidelines but I’m sure that certainly we need more studies to actually and then obviously hope with powerful meta-analysis to delve into this further. Before, I really see a significant impact of guidelines. N: Well, is there anything that you see as any other implications for the interventional cardiology profession as a whole? I know you said you don’t see any far-reaching implications as of yet. I guess to do so would be kind of jumping the gun at this point. B: Sure. I mean the thing is I think with cardiogenic shock cohort and having already one large randomized control trial for 706 patients, we do need more data but it’s very difficult to conduct such a study and I’m not sure of any studies at the moment that are being conducted or planned to address this. We may not see another study. We may not see another randomized control trial because it’s such a difficult thing to achieve in such a sick cardiogenic shock cohort but it may well be that with furthermore observational analysis that come through similar to ours, that may just be enough to start impacting guidelines and time will tell. We’ll see what happens. I can say this but ever since a culprit shock file has come out, we are seeing a certain change in the interventional practice in British Columbia. I can also speak for some of my colleagues who are based across in England, having spoken them already we are seeing a change in the thinking of revascularization strategy in the cath lab by the time of myocardial infarction cardiogenic shock where people now just primarily undertaking culprit vessel intervention, allowing them to recover and bringing it back perhaps as an inpatient or allowing them to recover and bringing it back as an outpatient. You treat the remaining vessels. I can already see a change in practice. I can see it. How soon it would impact on guidelines remain to be determined. N: Well, I appreciate you coming in and giving us this information, Dr. Iqbal. I hope you’ll come back in the future. B: Thank you very much. Thank you for the opportunity.